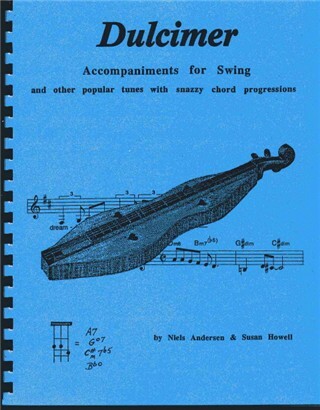 Forty tunes with tablature for the intermediate dulcimer player with full music notation and chords for guitar or other accompanying instrument. Includes Lovers' Waltz by Jay Ungar, Margaret's Waltz by Pat Shaw, Andante Graziosa by Mozart, Quebecois song En Filant Ma Quenoille, Hard Times, Black is the Color Of My True Love's Hair, Danny Boy, Cielito Lindo, On the Ridge by Susan Howell, and The Water Is Wide. 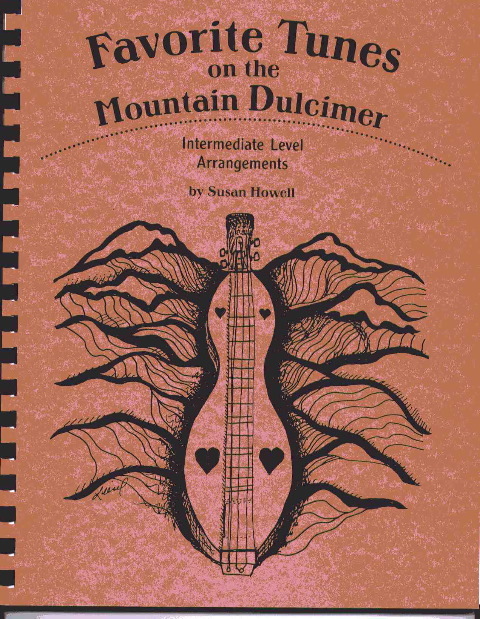 Here's a review of Favorite Tunes on the Mountain Dulcimer by Neal Walters from the Jan. '03 edition of the Dulcimer Players News. A 148 page instructional manual, with the melodies, chords and dulcimer TAB for more than sixty tunes including: Ain't Misbehavin', (All I have to do is) Dream, Almost Like Being In Love, Crazy, Georgia On My Mind, Here There and Everywhere, I Fall To Pieces, I'm An Old Cowhand, My Romance, Paper Moon, Pennies From Heaven, Try To Remember, Tumblin' Tumbleweeds. There are really cool chords in two dulcimer tunings, DAD and DAC. DAC is the tuning that's typically used for Aeolian, a minor mode. Here it is used to play in major keys including F, C, G, D and A. Although the melody is given in standard notation for all of the tunes, the dulcimer usually doesn't play the melody. The dulcimer TAB in the book is to accompany yourself or a friend. There are chord charts for guitar and bass players, fingerings for both guitar chords and dulcimer chords in DAC, lots of theory (chord construction and the musical logic of progressions) and hints on how to jam on popular tunes.